Dutch Dryers. That’s been our name since 2007. For clients throughout the world that’s a name of great significance. We are a Dutch company that is specialised in: development, building and maintenance of thermal drying systems. Our team has many years of experience in this field. 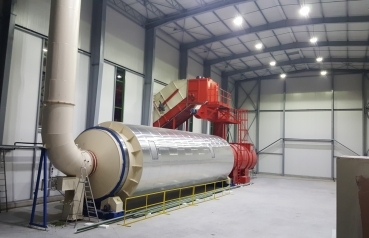 We started out specialising in making drum dryers but now we also produce belt dryers - a unique combination of expertise that allows us to work with you to develop the very best thermal drying system. We are based in Zeist, which is located centrally in the Netherlands and where our engineers develop the latest generation of systems. But we’ll be pleased to visit you – wherever you may be in the world – to discuss your project and to commission and maintain our solutions. Discover the power of Dutch Dryers! Specialised in effective systems for organic waste flows that are difficult to dry, such as natural materials with long fibres or sludge with high moisture content. Supplier of drum dryers and belt dryers. Innovative and pragmatic; we enjoy working with our clients to develop new solutions for new applications. Your partner – from pilot project to process optimisation.